Leah (Lea) Aini was born in Tel Aviv in 1962, and studied Hebrew language and literature. She works as an essayist and literary critic, and teaches creative writing. Aini has published novels, stories and novellas, poetry and a number of books for children and youth. Aini has been awarded the Wertheim Prize for Poetry (1988), the Adler Prize for Poetry (1988), the Tel Aviv Foundation Award (1993), the Prime Minister's Price twice (1994; 2004), the Bernstein Prize for Drama (2006), the Bialik Prize (2010) and the Neuman Prize (2014). 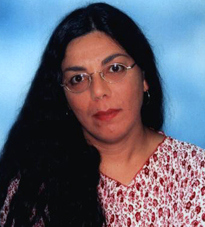 Her novel Rose of Lebanon was a finalist for the Sapir Literary Prize (2010).